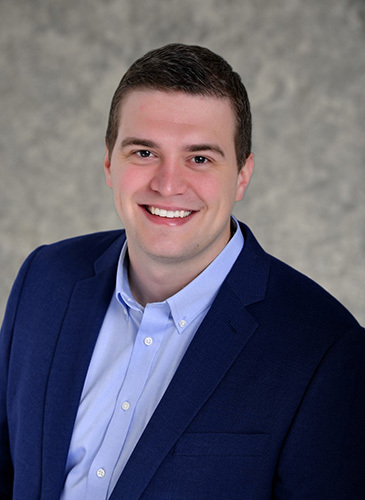 Jacob joined Resource Consulting Group in January 2019 as an associate wealth advisor. He is a Certified Financial Planner™ professional. Jacob graduated from the University of Central Florida with a Bachelor of Arts in marketing. Prior to joining RCG, Jacob worked at Charles Schwab & Co. where he had the opportunity to learn from a variety of roles and perspectives on the industry. In his spare time, Jacob enjoys CrossFit, traveling with his wife, Sarah Jo, and spending time with their dog, Hank. Independence has always been a key motivator for me. Starting from a young age, if I could do it myself, I wanted to. When my siblings and I were first given an allowance, my parents set up a chore chart and a weekly rate, accompanied by three small envelopes from my mom. The first was for spending, another designated for saving and the final one for charitable giving. The only rule was that a portion of what we earned was to be given away (most often in the offering plate at church each Sunday), the rest was up to us to manage as we saw fit. I think that was where my passion for planning and financial independence first began. While my siblings would often immediately enjoy the fruits of their labor, I would set a goal and keep meticulous records to track the progress of my little savings envelope. I worked all through high school and college, and every dollar earned had a purpose. It was the feeling of accomplishment and freedom that inspired me, knowing I could set a goal and develop a plan to achieve it. I knew quickly after graduating I wanted to work to help others feel that same sense of achievement and to help lay out a groundwork for planning their future. Over my career, I’ve been fortunate to learn a lot about how to care for clients well and the responsibility that comes with being a trusted advisor. That is ultimately what brought me to RCG. Getting to know the firm, I knew I had found a group of people that placed a high value on helping clients reach their own financial independence. I’m thankful to have found a home in RCG, where the focus is always centered on the clients and helping them achieve their financial goals. I’ve come a long way since those three little envelopes tucked away in my sock drawer, but the underlying lessons still ring true: work hard, give first, and set a plan for long-term success.